Welcome to a new week with a fresh start! I hope you are faring well in all your projects, whether it be writing or reading. Remember, you should always try to write a little each day even if it is only a little bit, and reading other authors’ works helps in the creation of your own. If you have tried to purchase Resistant in print from Amazon, you will have noticed that there is no stock. That is untrue, however that is what it has to say for now. The reason for that is because I am in the process of switching everything for Resistant from WaveCloud (the company I used to distribute the book upon its release) to me. I wanted to have complete control over it, especially when it came to tracking my earnings and sales rankings. Because of this, WaveCloud had to “unpublish” the book (essentially take it down from Amazon on their end) and then send me the files to upload myself (“republishing” the book). The process can be slow at times, I’m told, so I ask that you please bear with me. Resistant will be made available in print again soon! It is available for the Kindle, so that option is open to you if you’d prefer. As for the second book in the collection, Unguarded, it is coming along well. The first draft word count came in at just over 43K and I have since added to it while doing slight revisions. I am currently waiting to receive Part I (of III) from my editors, going back through the other two Parts in the meantime. I also mentioned before that there is an Epilogue in this book, which helped in extending the word count past Resistant’s word count of 38K. I am aiming to release the book by Christmas, which is dependent on how quickly and efficiently I can get through the editing process. If not, the book will release shortly after Christmas like I originally intended. Nothing but good news for my readers, as I am ahead of schedule. If you haven’t checked it out already, I have published the first volume of short stories that will contribute to my short story collection. The idea behind this project is that I would release volumes of short stories (usually containing 3-5 stories each) over time, in between my other larger projects. After a handful of volumes are released, I would have a large enough collection of short stories to offer my readers (especially new readers), which would afford them material to read aside from my WWII collection. I would like to give as much variety to my readers as I can manage, and I figured this would be a good way to it. The second volume is underway and should be release in early 2015. That’s how it looks at this point! Also, if you haven’t already joined my mailing list, I encourage you to do so. There is quite a bit of information that is revealed through my newsletter that comes out about every two weeks, and it contains more details than my blog does here. I’m using it as a means to connect with my readers on a more personal level, because I think it’s great when a person can interact with the author of a book they like. It makes the reading experience more meaningful, in my opinion. All of the links needed to check out my upcoming books, as well as to join my mailing list, are located on this website by using the tabs at the top of the page. So please take a moment to browse my site–it is laid out very practically and can be easily navigated and accessed. That is all I have for now. I hope to get to work on some more revisions this week and planning ahead for my upcoming projects after Unguarded is released. If you want the real scoop on it, join my mailing list! In case you haven’t seen or heard, I finished the first draft of manuscript for Unguarded, the second book in the collection, last week. I am ahead of schedule in the writing/editing/publishing process, so there is now a chance that the book will release before New Year’s of 2015. Follow along in this blog to stay up-to-date on the process. If you want more of an inside scoop on things, join my mailing list here for those juicy details. I am beginning to really get into the editing of the first part, so needless to say I am excited to be moving along! As I mentioned before, the word count in the first draft was just over 43K, so it will be longer than Resistant (which was just shy of 38K). I believe the story was told very well in 43,000 words, so I don’t want to force more words onto the page and risk the quality of the story. I hope you will take to it well upon its release! During the writing process of Unguarded, I experienced quite a bit in terms of emotion and writing application. I couldn’t believe that I had written the amount that I did in the span of time that had passed. I began writing in earnest around June 23 and finished in mid-September — a whole month ahead of my tentative writing schedule. I was overwhelmed with satisfaction and joy at my accomplishment, but I know that I can’t hold on to that as rewrites and edits are now on my plate. If you are a new author, you will find that working on your first project can be daunting. Even just thinking of what all you’d like to accomplish and what lies ahead of you can sometimes thwart your motivation, leaving you fatigued before you even get out of the gate. My advice to you is this: baby steps. If you’ve ever seen the movie “What About Bob?” then you know what I am talking about. If you haven’t seen that movie, then you need to go buy because it is a classic! The point is, just tackle your aspirations a little bit at a time. For example, if you want to write a book that is 50K words and has a complex plot, then break your tasks down so they fall into chapter format. You wouldn’t try to write the tense climax in Chapter Eight if you haven’t even introduced your characters and the problems she/he will face along their journey in the first seven chapters. So don’t do that! Rather, start out in baby steps, tackling the first chapter and putting your efforts and focus on that. Then move on from there. Granted, you may have planned out your book in rough skeleton format, like I did with my debut book Resistant, but it is still wisest to start at the beginning. I am not saying it is unwise to plan out your book. Over the past week and a half, Volume 1 of my short stories has been live on Amazon. It is available for the Kindle and is only $0.99. If you have Kindle Unlimited, you can read it for free! If you do read it, please consider leaving me a review on the book’s Amazon page. I greatly appreciate the feedback I receive from my readers. The next volume in this collection has already been started, but I don’t yet have a date set for publication. I will keep you informed in my blog as well as on the “Short Story” tab of this website. I have much to tell you today, so let us jump right into it, shall we? I mentioned in last week’s blog that I would be releasing the first of many volumes (hopefully) that will come to comprise my Short Story Collection soon, as in sometime by last Friday. To my surprise, and a welcomed one at that, the publishing process through Amazon KDP was very easy and much faster than I thought it would be. I submitted my story Monday night and by Tuesday morning it was live. Since then, I have made a few changes here and there–mostly formatting and aesthetic changes–but I still got it “out there” long before I thought I could. 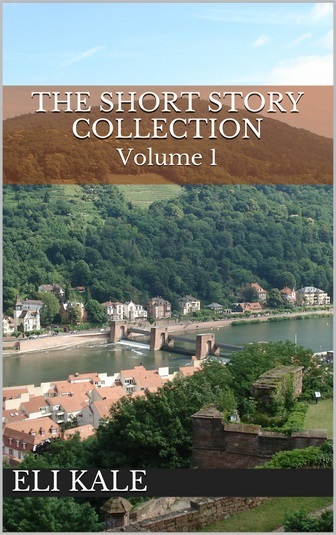 If you haven’t checked it out yet, you can go to the tab on my website that says “The Short Story Collection” and find information there as well as the sales page. Note that it is only available for the Kindle. I am very satisfied with the effort and work put into this first volume, and I can safely tell you that I already have a handful of more stories in the works for upcoming volumes. So stay tuned! Last week, I began Monday morning with ZERO words typed for Part III of Unguarded, the second book in the collection. By Friday, I had nearly reached 10K words. For me, that is an incredible accomplishment. I have never written that many words in such a short amount of time. I am in no way meaning to boast, but rather to use it as encouragement for others, especially if they are experiencing a rut or bump in their own writing path. If ever you find yourself encountering an obstacle in your writing, do not give up. I repeat…DO NOT GIVE UP. Find a way around that obstacle. In most cases, or at least in my experience, the best first option to take is to give yourself a break. Even if it is only for 5-10 minutes, that little bit of time away from a project can work wonders. There is more I can tell you, but I am putting together material and ideas for a blog post related to this topic, so keep an eye out in the coming weeks for it! The point is, a vast majority of beginning writers–and sometimes even not-so-new writers, quit writing even for a time because of the obstacles they face. That is part of the whole process. Writing is not meant to be easy…not good writing, anyway. It takes time and practice to come close to reaching whatever it is that you consider “perfection” for your own process and purpose. I am by no means “perfect” myself–not by anyone else’s standards or my own–but I accomplish most of what I set out to do because I make it work. I don’t give up on myself or what I am aspiring to do. I’m sure you’ve noticed that I revamped my website. I also mentioned that in last week’s blog as something that would probably happen in the coming weeks. I felt compelled to do it sooner, apparently. I’m sure you don’t mind, as it is hopefully a pleasant surprise for you. I feel that it is more streamlined and better looking than the old website. As for the mailing list, it is slowly growing! I am very pleased that I have gained some readers in my “inner circle” if you will. That is, after all, the intention of the mailing list: to reach readers on a more personal level. I think it is great when readers can connect with authors whose work they enjoy. It helps you appreciate their work more, I believe. If you haven’t joined yet yourself, or if you know someone who you think would like to join, you can find the (free) subscription form under the “About” tab on the website. The last thing I wanted to touch on today is regarding ratings and reviews. I recently reviewed a memoir on mental illness (something I don’t usually read about), which turned out to be a very interesting read. It is entitled, “Please Save Me From Myself” and is written by Sebastian Aiden Daniels. Afterward, he told me he was very appreciative of me for leaving him a review. If you aren’t aware, ratings and reviews really help spread the word about someone’s work. Not just of any one particular book, but of all the work of an author in general. Writing a review literally takes no longer than fifteen minutes, tops. And it goes a long way, let me tell you. So to close this spiel, I encourage you to leave a review for books you read. If you didn’t like the book, that’s one thing. But it really encourages an author when he/she sees a new review, and it inspires them to keep on doing what they love. So please, think of that the next time you finish a book! It is a brand new start to a brand new week. I truly hope there is much good in store for you today! There is much going on in the Eli Kale community this week, part of it due to a change in things regarding my current works in progress. Much progress was made this past week on my upcoming book, Unguarded, which is the second in a collection of historical fiction stories set during the Second World War. Up to this point, The writing completed on Friday put me a little past the halfway mark of the number of words which I would like this book to have – 49K. After completing the remaining 3K or so words left in Part II today, I will be well on my way to writing Part III and the Epilogue, edging closer and closer to my goal word count. I have recharged my writing and creative batteries, and I must say that the past few work days have been a blast! I am really enjoying getting into the character, much like I did with the main character in my first book. I’ve mentioned before that some aspects of the first book carry over into the second book, while the stories themselves will be completely different and unrelated. I have also picked up a second editor for Book Two, mostly because my primary editor has taken on more work in her schedule. So to still bring you a quality story, I am working with two editors this time around. I am truly looking forward to this new part of the experience. As for the overall time frame, I am actually ahead of schedule a bit. The tentative release date is still sometime shortly after New Year’s. I will have more on that in the coming months. If you haven’t read it or heard me say it before, I am aiming to release short stories through Amazon KDP periodically throughout the coming months and years in the form of three-story volumes. The first volume will release sometime this week, barring any unforeseen setbacks. This is what I alluded to in the beginning of the post. I had asked a friend if they’d like to edit the short stories for me, and they said they would. However, with their internship on the West Coast getting underway, which makes the person very busy, they were unable to get around to the editing. With the understanding from the get-go that they were to put their work and priorities first, I decided to edit the stories myself. After considering it all, I concluded that this is actually a good thing because it makes the stories more personal. You as a reader can be a little bit closer to me as a writer, because what you’re reading is truly mine. I really enjoyed writing these first three stories, and I hope you will enjoy reading them. This being my first time using Amazon KDP, I can’t state an exact time and date for when the book will release. I’ll have to get the hang of it first. I can say that it should be live by the end of the week (my goal, at least). It will be either $0.99 or $1.99, depending on the file size and such. The reason I am doing these short stories is to vary up the writing that I do on my larger projects, like the books in the “Faces of the War” collection. Not only does it provide me with a break from the time period, style, settings, etc. of my other projects, but it gives you something new and fresh to read as well. So if you’re a fan of short stories, I encourage you to check it out after its release! A few more people have added themselves to my mailing list, but there is always room for more! I use email newsletters to directly reach those in the Eli Kale community who wish to receive early details and updates about me and my work. I also would like to encourage you to join the mailing list because it will allow you to step inside my world as I journey through my writing. There are also things in the e-newsletters (which I send out bi-weekly) that don’t show up in the regular blog here: fun facts, Q&A sessions, special giveaways, and much more. It also affords you the opportunity to interact with me, which is important to me because I like to be a presence in the community of my readership, not an absent author whose social media posts are the only semblance of life that you see of him. And the best part is that I don’t write long newsletters, so you can read them over your morning coffee or in the evening as you settle into bed. I would love to have you join me as I create these stories of which I am very passionate. All you have to do is go to the link in the previous paragraph, then input your name, email, and a comment saying that you’d like to be placed on the list, and that’s it! 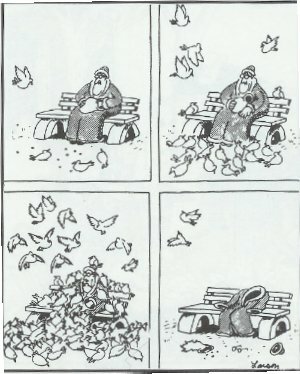 So to end today’s information-filled post, here is one of my favorite cartoons by the artist Gary Larson. Have a wonderful day! Happy Labor Day to everyone! Hopefully you are in a place with family and friends, and hopefully life is treating you well. 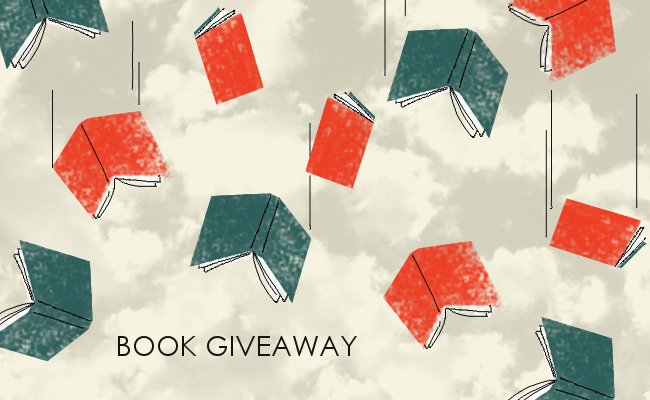 Today marked the end of the first of three book giveaways that I am hosting on this website. The giveaways, which feature my debut book “Resistant,” are part of the lead-up promotion for my second book, “Unguarded,” which is due to release shortly after the New Year. You can follow my blog for details about it as I go through the writing process! I am currently slowing down a tad in my writing of Book Two in the Faces of the War collection because I am playing around with a few different ideas in my head. In order to see what ideas pan out the best, I have to do a little legwork before I continue writing. I don’t want to waste my time (and yours) by producing writing that won’t fit well with the rest of the story. In terms of word count, I recently exceeded the 21K mark, which puts me a few thousand words shy of halfway to my goal count of 49K. As I have said before, I am expanding the size of the second book as per the reviews of “Resistant” stating that a longer book would have been great. Though the story is what I want it and make it to be, I want to adjust things when and where I can to include my readers in my process and final product. I am very excited about this story line, and I truly hope you will be too once it goes live in January. If things go really well, there may be a chance to release the book in December, but that may be pushing the envelope just a little. If you are a newer writer, that is something I stress to you: don’t push the envelope. Depending on your process, you may like to be under pressure or prefer to get things done with a little craziness along the way. But in a general sense, it is best to let things play out as naturally as possible so as to help produce something of a better quality. What I mean by this is that, for example, it is best not to set strict guidelines or due dates in your process. This is because it will most likely force words onto the page that may not necessarily need to be there; likewise, it might take up too much room on the page, thus leaving out what could be important material. In my experience, if you don’t write as the words naturally come to you, then you leave yourself little option other than writing just to write. That is why I want to approach the material of “Unguarded” very carefully so I’m not rushing to get the words down, nor taking too much time and letting the material go stale. I will sort out my ideas this week, and hit the writing hard! I am very grateful for your following, and I hope that I am reaching you with my writing in one way or another. Please tell a friend about my work. Word of mouth is a surprisingly powerful tool. I also encourage you to check out my Twitter and Facebook pages, as well as my Goodreads and Independent Author Network pages. Links to those sites are on this website, on the ABOUT page!